After several days of waiting and speculation on social media, mobile technology brand OPPO finally unveiled the ‘new face of the selfie expert’ — the special edition F1s Limited that sports a metallic grey color. But the F1s Limited is not only OPPO’s new face. 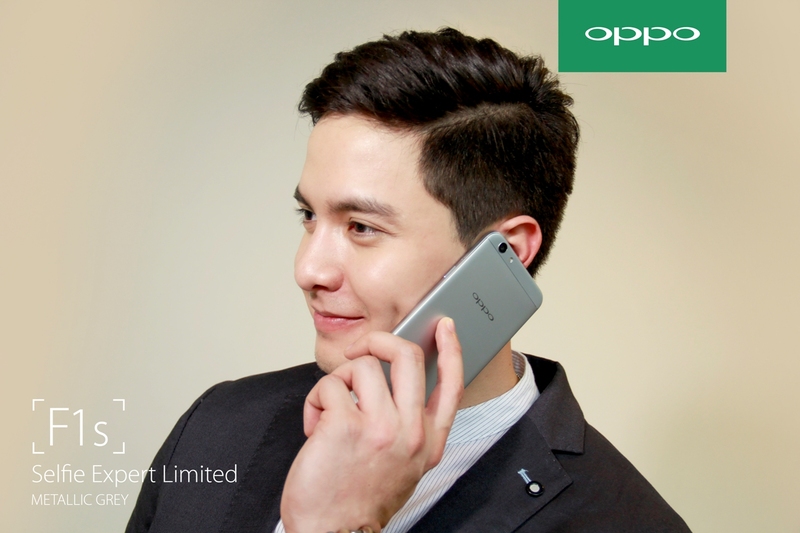 The smartphone brand also announced that Kapuso heartthrob Alden Richards has joined the OPPO family as one of its new brand ambassadors. Being a celebrity heartthrob, Alden Richards is also known as the "Pambansang Bae" & "Pambansang Dimples" showing his incredible charisma to all his fans. He expressed his excitement to work with OPPO, the Philippine’s second bestselling smartphone brand according to a report by German-based market research firm GfK. Apart from static selfies, the F1s can create moving images using its Super GIF feature, as well as double-exposure shots that juxtapose two images in one photo to create a sense of motion. Lightning-fast fingerprint recognition also unlocks the phone in 0.22 seconds. Five fingerprints can be assigned to five contacts or applications for quick access. The F1s is currently available in gold and rose gold. Concept and dealer stores nationwide will take pre-orders of F1s Limited starting today until November 11. Pre-orders can also be placed through the online shop Lazada. Customers who pre-order will also receive anexclusive set of VR and selfie stick for free.